It was another great year of Talk of the Town Carolinas videos. Below is a list of the 2018 TOTT videos we produced. Which video was your favorite? Click on the video title link to watch that episode on YouTube. We are proud to say there are over 200 Talk of the Town Carolinas videos dating back to April of 2015. 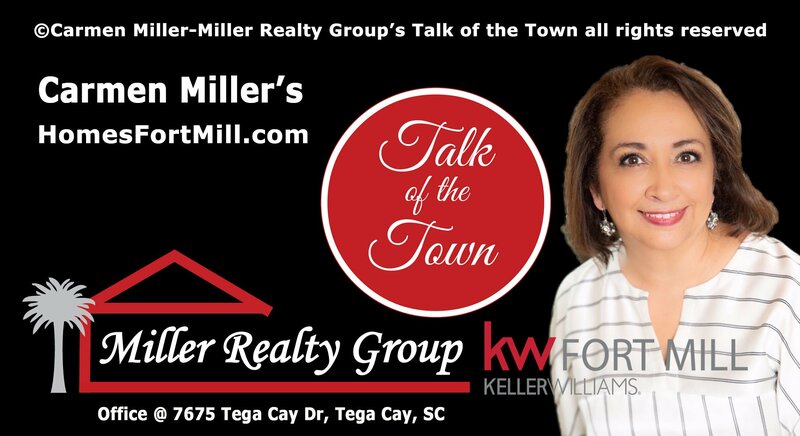 We hope our weekly video series gives you a good idea of what is happening in our community and why we think Fort Mill, Tega Cay, Lake Wylie, Rock Hill are great places to live. We plan to continue bringing you more TOTT videos in 2019. Give us your feedback on what you would like to learn more about or see. There are several ways to view our video program. We post videos to our YouTube Channel, Several Facebook Pages, our Blog. We have also created a new separate Talk of the Town Carolinas website so you can easily see the entire YouTube video library of Talk of Town shows. We just created a new Facebook Page dedicated to just TOTT. Be sure to visit and Like our new Page. From all of us at the Miller Realty Group, Have a Happy and Successful 2019 New Year!